Email campaign for IBM's Value Package, a subscription suite of sales tools available to all IBM Business Partners. As a copywriter for the Austin-based cancer support non-profit, I worked with the marketing team to create campaigns to reflect the foundation’s mission to improve the lives of people affected by cancer and to drive continued fundraising support for its endeavor to provide assistance to those in the fight for their lives. These are sign-up emails for Team LIVESTRONG events for the purpose of driving registration. 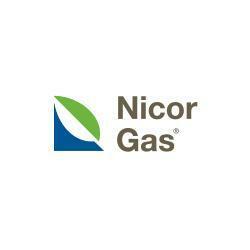 Nicor Gas, based in Chicago, wanted to connect with their customers on a more personal level. Through research, it was discovered that this segment was comprised of homeowners who were less interested in the cost of keeping their home warm and more interested in choosing a product they could rely on. For Nicor, this meant creating a campaign that not only drove customers to purchase furnaces, but also inspired a deeper sense of warmth for their customers.